He said Nigerians have crossed red sea and can't to Egypt. Tinubu made the statement while speaking during the National Consultative Forum themed: “Nigeria on the right track” organised by the National Committee of Buhari Support Groups. “They said we should not talk about the past. We must look at what you have done before. We have to look at the Halliburton issue. Why do they leave Nigeria? $16billion on NEPA for darkness…When they see that we are kicking them out, they rush to privatise the company, what I call personalisation of the wealth of Nigerians,” he said. 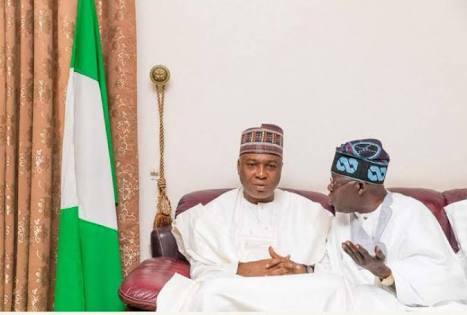 While commenting on the Senate President, Bukola Saraki, Tinubu said after using the APC to win election in 2015, “Saraki used our mandate to give lifeline to the opposition. Leadership is about character. He left PDP, joined us, got elected and sold our mandate for a pot of porridge. God is honest, Saraki is not."